The view on Alzheimer’s Disease (AD) diagnosis has shifted towards a more dynamic process in which clinical and pathological markers evolve gradually before diagnostic criteria are met. Given the wide variability in data available per subject, inherent per-person differences, and the slowly changing nature of the disease, accurate prediction of AD progression is a significant, difficult challenge. The goal of this project is to devise novel Personalized Machine Learning Models that can accurately capture future changes in the key biomarkers and cognitive scores related to AD and other neurological conditions. As the basis for our framework, we use the Alzheimer’s Disease Neuroimaging Initiative (ADNI) dataset–the largest publicly available dataset for AD research. These data are highly heterogeneous and multi-modal, and include imaging (MRI, PET), cognitive scores, CSF biomarkers, genetics, and demographics (e.g. age, gender, race). 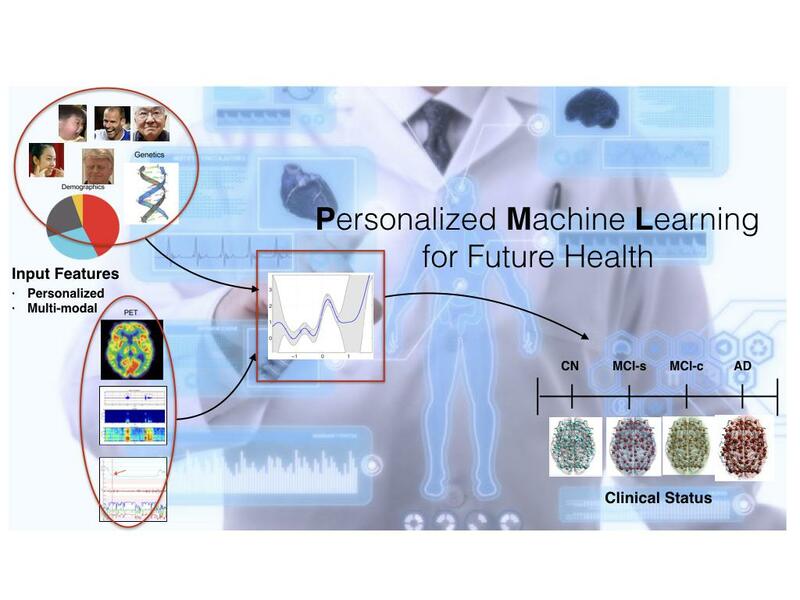 The developed models are the break-through in machine learning for health-care as they allow personalized forecasting of the diseases' progression - in contrast to the traditional "one-size-fits-all" approaches. This capability is of great importance to both clinicians and those at risk of AD since it is critical to early identification of at-risk subjects, construction of informative clinical trials, and timely detection of AD. Utsumi, Y., Rudovic, O., Peterson, K., Guerrero, R., Picard, R. "Personalized Gaussian Processes for Forecasting of Alzheimer's Disease Assessment Scale-Cognition Sub-Scale (ADAS-Cog13)." The 40th International Conference of the IEEE Engineering in Medicine and Biology Society (EMBC). May 2018.